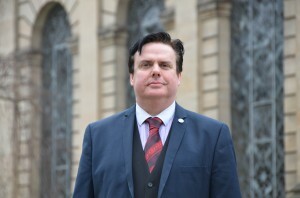 Michael Baxendale – Head of Dispute Resolution. Michael is very experienced and well respected amongst both colleagues and the professional community. Michael has an impeccable academic background having graduated from Cambridge University with a First Class Honours Degree. He has specialised since 1994 in civil litigation cases with a particular emphasis on property and commercial litigation. Michael always combines his technical excellence with a business orientated approach and the highest level of integrity in all the matters he conducts. He manages a substantial case load of high value and complex contentious and non-contentious matters. Michael’s experience includes, representing clients in the County Court, High Court, Court of Appeal and Supreme Court of the United Kingdom and also before the Tribunal of the Adjudicator to HM Land Registry. Michael combines an approachable and empathetic persona with the delivery of rigorous risk assessment and legal analysis of clients’ prospects of success and realistic costs budgets. As well as being a Solicitor, Michael practises as an Accredited Mediator. Michael gives clear and honest advice to all his clients as to the strengths and weaknesses of their position. He combines the fearless pursuit of clients’ interests with a willingness, wherever so instructed, to pursue realistic settlements in order to minimise his clients’ exposure to risk. As a result of the above qualities, Michael has an outstanding track record in delivery of satisfactory results for clients even in the most difficult cases.